Close to both the I8 and 67 freeways and located at the corner of N. Marshall Way and Vernon Way, the WestAir El Cajon store can address all your gas, welding and safety product needs. Tell your colleagues and friend about your experince with WestAir El Cajon. 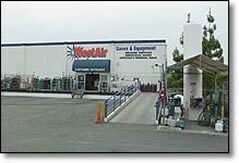 Visit the WestAir El Cajon Google Review page.